This post provides a general overview of the corporate formation process in Japan and is not, and should not be used as, legal advice. If you have a specific question about Japanese law you should consult a Japanese lawyer. How do you go about starting a business in Japan? The kabushiki kaisha is the entity of choice for nearly every sizable business in Japan. The kabushiki kaisha (often translated into English as “joint stock company” or “joint stock corporation”) is the entity of choice for nearly every sizable business in Japan. Even after the elimination of minimum capitalization requirements for kabushiki kaisha in 2006, the entity continues to inspire much greater trust than alternative structures and carries with it an image of legitimacy in the Japanese business community. If you plan to start and grow a business in Japan, creating a kabushiki kaisha will help you hit the ground running. As part of its Japan market entry services, Tokyo Nexus can assist with this. Designating a representative director, who will have authority to act on behalf of the company and who must be a resident of Japan with a visa status that permits her to serve in that capacity. Hiring a local accountant to perform the company’s bookkeeping and to execute payroll. Holding meetings of the board of directors (if the company has a board of directors) and the company’s shareholders and preparing minutes of those meetings. Disclosing the company’s year-end balance sheet in the kanpo (a Japanese government gazette), or alternatively in a Japanese newspaper or on the company’s website. If the corporation exceeds a certain size you must also publish a statement of annual profits and losses. None of these obligations is particularly difficult to fulfill or even that expensive for a small business with sufficient funding, provided that the business chooses the right professional service providers. Small businesses getting set up in Japan need to be careful about selecting the right local accounting and law firms in order to get high quality service at reasonable prices. Anyone who wants to move ahead with creating a kabushiki kaisha will benefit from an understanding of what’s involved in the formation process. The description below outlines the key necessary steps. Before you start, do you have everything you need? How fast can all this be done? 1. Before You Start: Do You Have Everything You Need? Although it is technically possible to use your signature instead of a seal, to do so you need a completed Japanese proof of signature from the local Japanese consulate, notary public or similar place. If you’re a resident of Japan, obtaining a personal seal is quite easy and it will help smooth the incorporation process considerably. Seals can be purchased at local stores throughout Japan or over the internet. Foreigners should note that there are rules that govern the content of the seal. For example, your middle name cannot appear on the seal, and if the seal is in Japanese katakana characters instead of roman characters, that katakana reading of your name may need to be registered with your local ward office before you can register the seal. It’s generally helpful to call the local ward office before you have your seal made so you can confirm that the seal you order will comply with their requirements. Total processing time: generally these can be produced in two to three days, and for a fee expedited service may be available. When you register your company, you should submit along with your application a registration of a corporate seal for the representative director of the company. Even if the representative director has already registered a personal seal with the local ward office, you will have to create a separate seal because the corporate seal is used for the execution of documents on behalf of the corporation rather than in an individual capacity. Total processing time: as with a personal seal, generally these can be produced in two to three days, and for a fee expedited service may be available. Corporate registration in Japan requires that the incorporator provide proof that the company’s initial capital has been funded. I’ll address this later, but in order to provide proof you’ll need at least one Japanese bank account and it’s better if you have two. Total processing time: opening a bank account in Japan generally takes one to two weeks and requires proof that the applicant is residing in Japan. Every joint stock company in Japan must have a representative director. When you submit your application for corporate registration you will be required to designate a representative director and include an acknowledgment from the designated person that she accepts the role as representative director. A common problem for foreigners is that most visas do not permit the holder to serve as the representative director of a corporation. However, foreigners with permanent residency status who live in Japan and foreigners living in Japan on spousal visas are able to serve in this role. Japanese citizens can of course also serve in this role. The baseline fees for the required notarization of your articles of incorporation are ¥90,000 (roughly $860) as of this writing, and the processing fee for the corporate registration application is ¥150,000 (roughly $1,430). These numbers don’t include lawyer’s or paralegal’s fees charged for review of your articles of incorporation or other miscellaneous costs. Incorporating in Japan is an expensive endeavor. The articles of incorporation of a joint stock company in Japan (“teikan” in Japanese) serve basically the same role that they do for a Delaware or New York company. However, amending the articles of incorporation is more expensive and time consuming in Japan than in the U.S., so it’s in your interest to minimize the potential for errors and the need for future amendments. With this in mind, I hired a Japanese lawyer to review my articles of incorporation. He gave me a lot of helpful comments and pointed out several things that hadn’t occurred to me, despite my experience forming several corporations in the U.S. and reviewing hundreds of corporate formation documents in my years working as a lawyer. If you’re hoping to grow your company in the future, this is a worthy investment. It seems that the going rate for small law firms in Tokyo for drafting a company’s articles of incorporation is around ¥100,000 ($960), but this will likely become more expensive if you require an English explanation of the document. I was also informed that the registration system that records the incorporator of the company cannot process roman characters, so if you’re a foreigner, anywhere your name appears in the incorporation documents in roman characters should also include a katakana transliteration. Total processing time: depending on the lawyers or paralegals involved, this can be done in one or two days. However, the process could also stretch on for a week or two, especially if the law firm requires that you execute an engagement letter before they begin work or if you are unfamiliar with the structure of a teikan and need the lawyer to explain the document to you. Some foreigners in Japan already have a registered personal seal but many do not. Once you order your seal and receive it, you’ll need to register it with the local ward office. This should take less than an hour. Once registration is complete, you should request a proof of seal, which is a one-page document used to prove that the seal you have is actually the one officially associated with your identity in Japan. You’ll have to submit a proof of personal seal along with your application for corporate registration. Before you submit your application for corporate registration, you’ll need to have your articles of incorporation notarized by a “koshonin.” Although “koshonin” is generally translated into English as “notary public,” in Japan notaries public are public servants appointed by the Minister of Justice and their rates are fixed throughout the country. Good luck getting a discount! Before notarizing your articles of incorporation, the notary public will want to review it and may request revisions if he thinks there are technical problems with the document like typographical errors or duplicative language. Before the notarization you’ll also have to go to a post office and purchase a revenue stamp for ¥40,000 (approximately $380), which the notary will affix to one copy of your articles of incorporation. Once the notary has completed his initial review and you have the revenue stamp, you’ll go to the notary’s office with three copies of your articles of incorporation, your personal seal and an original proof of seal from the local ward office. The notary will direct you to affix your seal in all the appropriate places and show you where to affix the revenue stamp. He’ll keep one copy of your articles of incorporation for his records and provide you with a notarized original to be submitted to the regional legal affairs bureau and a notarized original for the company to keep with the rest of its corporate records. If you’ve hired a lawyer or paralegal, it’s also possible to execute a proxy and have the lawyer or paralegal handle the notarization on your behalf. The fixed fee for notarization of articles of incorporation is ¥50,000 (approximately $480), which doesn’t include the additional ¥40,000 for the revenue stamp. Total processing time: with a fast-moving notary the articles of incorporation check and notarization can all be finished within a day. Your articles of incorporation will provide a fixed amount of corporate capital (“shihonkin” in Japanese) that the company will receive at formation. As part of the registration process, you’ll have to submit an attestation that this corporate capital has been paid along with a bank document showing proof of funding. Note that this funding must be effected after your articles of incorporation have been notarized. Of course, until the company is actually created you can’t create a bank account in the company’s name, so this transfer of funding does not need to be made into the company’s own bank account. In fact, the transfer can be made from one of your personal bank accounts to another one of your personal bank accounts. The point is just to create a record that funding was effected and then attest to the fact that this funding constituted the initial capital contribution of the company. It seems that a number of Japanese people get tripped up on this step, so it’s probably a good idea to call your regional legal affairs bureau to make sure that your planned documents are sufficient from their perspective. I was informed by my regional legal affairs bureau that at minimum the documents submitted need to show the name of the person who made the capital contribution, the date of the contribution, the account into which the contribution was made and the name of the bank where the account is held. A copy of your bank book showing a record of a “furikomi” bank deposit into your account should fulfill this requirement and a receipt for a cash deposit made into your Japanese bank account will also probably fulfill this requirement. Once you have your personal and corporate seals, proof of your personal seal, proof of funding the corporate capital and notarized articles of incorporation, you can fill out and assemble your application for incorporation. You’ll also need a CD-R or floppy disk that contains a one-page text file with certain basic registration information. Once you’ve put all of this together, you can bring it to the local regional legal affairs bureau for filing. You should ask them to look at the whole application to make sure there are no obvious mistakes. If anything is out of place they’ll have you correct it in pen and affix your personal seal. Once the regional legal affairs bureau has reviewed you application, you can purchase the necessary ¥150,000 revenue stamp in the same office, and affix it to your application and hand it over to at the registration desk. Your application is filed! When you file your application, the regional legal affairs bureau will tell how much processing time they need, which was two business days in my case (Minato ward in Tokyo). If they don’t contact you again before the deadline passes, it means your corporation has been formed. With corporate formation complete, you can go to the regional legal affairs bureau to get a proof of corporate registration and a proof of corporate seal. 8. How Fast Can All this Be Done? In contrast to the process in a place like Delaware where a C-corporation can be formed in a few hours if necessary, in Japan, getting all the documents together, effecting the necessary bank transfer, nominating a representative director, and getting the necessary review and notarization necessarily eats up a lot of time. However, if a third party forms the company for you and later transfers ownership of the company and resigns as representative director, the span of the process can be compressed to less than two weeks in extreme cases. 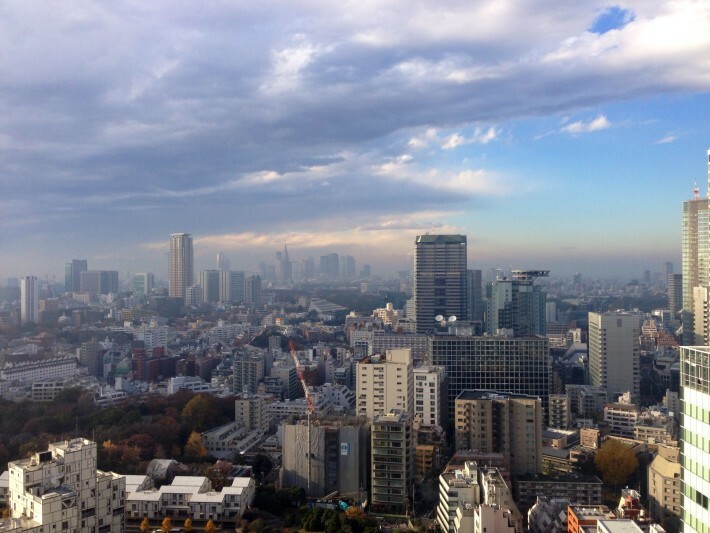 Tokyo Nexus can help coordinate this whole process on the ground in Tokyo. The Japan External Trade Organization also has a helpful guide on starting a business in Japan. Why did Larry Ellison, Jerry Yang, and the founders of Pinterest, Yelp, Fitbit, and Opower all take the stage at a hotel in Tokyo this week? Photographs used throughout this website are stock photos and do not depict actual events. Tokyo Nexus is not a law firm and does not provide legal services. Nonetheless, this site may be considered "attorney advertising."